The Chinese government has announced a new policy initiative to impose Mandarin on all regions of China, including many where the majority of the population have their own mother tongues. The edict also claimed the government would take measures to protect languages in danger of extinction. Beijing issued a statement claiming it would “fully promote and spread the national common language and script,” according to a Reuters translation, and “raise the ability and level of ethnic minority students to grasp and use the national common language and script.” Putonghua, or “common tongue,” is how the government refers to Mandarin, widely spoken by the majority Han Chinese. “Focus must be put on areas with limited Chinese abilities, it added, without naming any locations,” Reuters said the declaration emphasized. The notice also said the government would “increase efforts to protect ethnic minority languages in imminent danger,” but did not specify with languages would fall under this category. 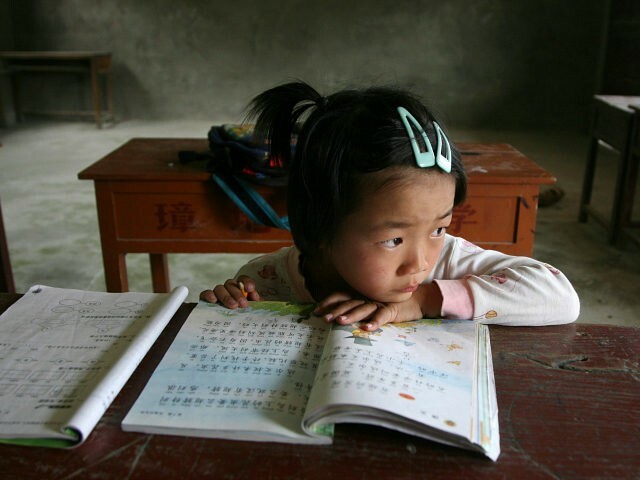 The Communist Party in Beijing has spent decades attempting to standardize language throughout the country, imposing new Mandarin language classes and attempting to fade out teaching other languages — like Cantonese, Tibetan, and Turkic Uighur — in regional schools. The government also forced media outlets to carry Mandarin as its official language in 2000. Chinese officials have had to contend with widespread protests for such moves in the past and have responded in part with a system to standardize the entry of individuals’ names into government systems, a problem for many who do not have Han Chinese names. In Tibet, the protests have been louder and more consistent, as the region is home to a separatist movement and its leader, the Buddhist leader Dalai Lama, is considered an outlaw by Beijing. While those in Guangzhou protested in 2010, an estimated thousand Tibetans took the streets to demand Tibetan remain a part of school curricula. The Free Tibet group accused Beijing of trying to “systematically wipe out” their language, while opponents compared the new Mandarin teaching to the Cultural Revolution. Two years later, a Tibetan student self-immolated in protest of the imposition of Mandarin on her high school, bringing attention once again to the language disconnect. Protests in Tibet continued into 2015, as well as more formal actions like attempted lawsuits against the government. The New York Times reported earlier this month that Tashi Wangchuk, who had spearheaded one lawsuit effort, had been detained for a year on charges of “separatism” for speaking to the Times about his lawsuit in 2015. At the time of the lawsuit, Beijing had succeeded in assuring that nearly one in three Tibetans could not speak the Tibetan language. Pro-Putonghua policies will also affect the western region of Xinjiang, home to the nation’s ethnic Uighur minority. The Uighur population already faces significant homogenization efforts, including an intermarriage campaign and 2016’s “year of ethnic unity progress” campaign. In addition to being Muslim, most Uighurs speak their own Turkic language, which does not use Chinese characters. Yet Chinese government schools have increasingly imposed Mandarin on Uighur children. “Educating young Uighurs in Mandarin may one day help them find work—but it is also a means by which the government hopes to subdue Xinjiang and its many inhabitants who chafe at rule from Beijing,” The Economist noted in 2015.